This newest gift bolsters the Israel Museum’s campaign for its $100-million campus enhancement project, which will upgrade and unify its terraced 20-acre campus, increase accessibility to the Museum’s collection wings, and enhance and expand its exhibition galleries and public spaces. Over $90 million for the project has been committed to date. Designed by James Carpenter Design Associates and Efrat-Kowalsky Architects, the campus project is scheduled for completion in May 2010. Concurrent with this major capital project, the Museum has launched an ambitious endowment campaign in honor of its founder, Teddy Kollek, which will double its current endowment to a total of $150 million. Over $41.5 million of this additional $75-million goal has already been committed. Once completed, this will be the largest endowment for a cultural institution in the State of Israel. • the reconstruction and reinstallation of the Samuel and Saidye Bronfman Archaeology Wing, designed by Pentagram Partners, London. The remaining $20 million is dedicated to the reconstruction, redesign, and reinstallation of the Museum’s existing collection galleries for its Edmond and Lily Safra Fine Arts Wing and its Jewish Art and Life Wing, led by Efrat-Kowalsky Architects. The new campus will open in conjunction with the celebration of the Museum’s 45th anniversary in May 2010. The Israel Museum has grown ten-fold since the 1965 opening of its original landmark campus, which was designed by Alfred Mansfeld and Dora Gad as a modernist reference to Jerusalem’s Mediterranean hilltop villages. The current capital project transforms the Museum’s terraced, 20-acre campus to create a clear and logical flow that will enhance visitor experience while maintaining the architectural essence and metaphorical intent of the Museum’s original design. The project, which broke ground in June 2007, encompasses 80,000 square feet of new construction and 200,000 square feet of renovated and expanded gallery space within the Museum’s existing 500,000-square-foot architectural envelope. For the first time, visitors will be welcomed to the Museum through three newly constructed, glass entry pavilions—housing ticketing, information, and restaurant, retail, and special event spaces—at the traditional northern entrance to the campus. Echoing the modernist geometry of the Museum’s original buildings, these glass pavilions are each shaded by cast terracotta louvers, designed to soften and diffuse the bright Mediterranean light while still encouraging a dialogue between interior and exterior spaces across the campus. Beyond the entrance pavilions, visitors will either be able to ascend the Museum’s Carter Promenade or to enter the newly designed enclosed route of passage, situated directly below the promenade. Leading visitors to the heart of the Museum, the enclosed route is a highlight of James Carpenter’s design to enhance visitor experience and circulation throughout the campus. This passageway will be flanked on one side by a translucent glass wall with a water feature running along its top edge, which will also be visible from the Carter Promenade above. Visitors walking through the passageway will also have access to outdoor courtyards that extend to the adjacent Billy Rose Art Garden, designed by Japanese-American artist Isamu Noguchi. The route of passage will bring visitors into the lowest level of the Museum’s new three-story Gallery Entrance Pavilion, providing centralized access to the Museum’s three collection wings on its main floor and also allowing visitors to reach the Crown Plaza via its top floor. Like the new entrance facilities, the Gallery Entrance Pavilion will be a glass structure, shaded by exterior terracotta louvers, which will provide a visual counterpoint to the stone-clad facades of the Museum’s original buildings that house its collections. An important component of the overall campus project is the reconstruction and complete reinstallation of the Museum’s Bronfman Archeology Wing, designed by Pentagram Partners, London. In addition, the Museum is working with Efrat-Kowalsky Architects to upgrade and reinstall its two other collection wings and to create new narrative installations throughout all of its collection galleries. The campaign for the Israel Museum’s renewed campus has benefited from the generosity of individuals,families, and foundations around the world and in Israel, and represents the largest collective philanthropic effort ever undertaken by a cultural institution in the State of Israel. Of the more than $90 million raised to date, more than $70 million comes from individual and family sources worldwide and in Israel. An additional $17.5 million in matching support has been provided by the State of Israel. The international donors who have contributed to the campus thus far with individual gifts ranging from $1 million to $10 million include: Judy and Michael Steinhardt, New York; the Estate of Dorothea Gould, Zurich; Herta and Paul Amir, Los Angeles; the Nash Family Foundation, New York; the Marc Rich Foundation, Lucerne; the Bella and Harry Wexner Philanthropies of The Legacy Heritage Fund, New York and Jerusalem; and Linda and Harry Macklowe, New York. Donors in Israel, whose contributions total $10 million, include challenge grants from the Schusterman Foundation – Israel and Yad Hanadiv, the Rothschild Foundation in Israel, and matching grants from: the Federmann Family, Tel Aviv; Debbie and Erel Margalit, Jerusalem; Dina, Michael, and Oudi Recanati, Tel Aviv; Rivka Saker and Uzi Zucker, New York and Tel Aviv; and Judith and Israel Yovel, Herzliya. The renewal of the Bronfman Archaeology Wing, originally built in honor of Samuel Bronfman through the generosity of his children, is being supported by Charles Bronfman and his family, in memory of Saidye and Samuel Bronfman, with additional support from the Harvey M. and Lyn P. Meyerhoff Fund, Inc., Baltimore, and the Wolfson Family Charitable Trust, London. The Israel Museum, Jerusalem, announced that long-time patrons Harriette and Noel Levine have gifted their extensive photography collection to the Museum, encompassing 125 photographs that span over 160 years of the history of the medium. Their collection, considered one of the finest such collections in private hands, comprises works ranging from 19th-century British calotypes, to modernist masterpieces, to recent examples of contemporary work. This gift builds on the Museum’s forty-year history of collecting photography, further distinguishing it as one of the world’s premier photography holdings. In addition to the gift of the collection, the Israel Museum announced new gifts totaling $2 million in endowment support for the Museum’s photography department—$1 million from the Levines themselves and $1 million from Patricia Gerber, sister of Harriette Levine, in honor of the Levines. These generous contributions add to the $12 million gift committed by the Levines in 2005 to endow the Museum’s photography department, creating a total of $14 million in endowed funds for the department. In 1994, the Levines also donated a collection of 80 signed works by noted American photographer and photojournalist André Kertész (1894-1985). Noel and Harriette Levine built their photography collection over the course of 30 years. Embracing a wide range of periods and styles, the collection features notable examples of vintage 19th-century photography, including iconic calotypes by the British practitioners Fox Talbot, David Octavius Hill, and Robert Adamson; images by American masters of early landscape photography, among them William H. Jackson and Carleton E. Watkins; and work by French masters such as Gustave Le Gray and Nadar. The collection also encompasses signature examples of Pictorialism by such important figures as Julia Margaret Cameron, Oscar Gustav Rejlander, Karl Struss, and Hans Watzek. The Levines also hold an exemplary representation of early 20th-century works of American and international modernism by some if its greatest masters; Paul Outerbridge, Man Ray, Charles Sheeler, Edward Steichen, Alfred Stieglitz, and Edward Weston—and an extensive holding of images by André Kertész. The collection also includes key images by contemporary photographers, including David Hockney, Robert Mapplethorpe, Cindy Sherman, and William Wegman. “It is with pride and pleasure that Harriette and I pay tribute to the Israel Museum—and enrich its holdings in photography—with the gift of our collection on the occasion of the State of Israel’s 60th anniversary,” said Noel Levine. Since its opening in 1965, the Israel Museum has maintained a focus on the exploration and exhibition of photography. By the early 1970s, New York photographer Arnold Newman had begun acquiring photographs for the department, which was formally established in 1977, and in 2006 bequeathed to the Museum 70 works by other photographers from his personal collection. Today the department’s encyclopedic collection includes over 55,000 works from the earliest days of photography to contemporary times. 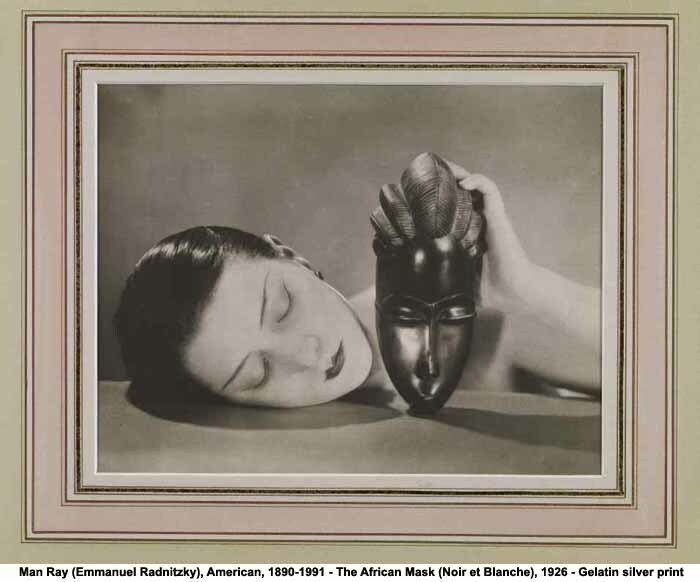 Over the years, the department has developed several areas of expertise, including important examples by the medium’s pioneering 19th-century practitioners—for whom the holy sites of the Near East offered unique subject matter—and photography of the Dada and Surrealist movements. It also features in-depth representations of such historically significant artists as Manuel Alvarez Bravo, Andre Kertész, and Man Ray, and the 1998 gift of The Vera and Arturo Schwarz Collection of Dada and Surrealist Art added further works of unequaled importance, together securing the Museum’s place among the leading such holdings in the field. As part of its commitment to collecting and preserving Israel’s photographic heritage, the Museum has also acquired comprehensive bodies of work by some of the most important practitioners who photographed in the region, among them: Mendel John Diness, a Jewish-born photographer who converted to Christianity and captured images of Jerusalem in the mid-19th century; Scottish photographer James Graham, whose photographic album from 1853 to 1857 features 87 photographs, among them some of the earliest images of the Holy Land; and early 20th-century European photographers who emigrated to Palestine before the founding of the State of Israel, including Yaakov Ben Dov, Yaakov (Jack) Rosner, and S. J. Schweig. The Museum also holds over 20,000 negatives of Alfred Bernheim, one of Israel’s noted architectural and portrait photographers. 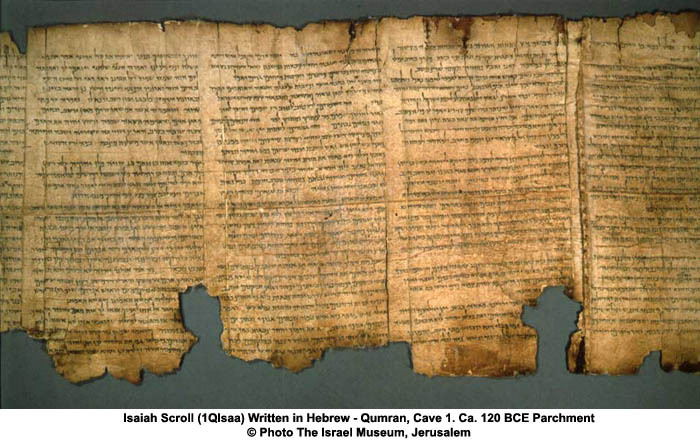 On the occasion of the 60th anniversary of the State of Israel, the Israel Museum presents two major sections of the Great Isaiah Scroll – the most complete biblical Dead Sea Scroll document ever found and one of the world’s greatest archaeological treasures – in a special installation in the Shrine of the Book. For the first time in over forty years, the public will have the rare opportunity to view the two longest sections of the Scroll, featuring Isaiah’s celebrated message of peace: “They shall beat their swords into plowshares…” (Isaiah 2:4). In order to illustrate this important message, artifacts from the days of the prophet Isaiah (8th century BCE), including a bent scimitar and agricultural tools, will be displayed together with the Scroll as part of this special exhibit. Swords into Plowshares: The Isaiah Scroll and Its Message of Peace will be on view in the Shrine of the Book at the Museum from May 19 through August 30, 2008. 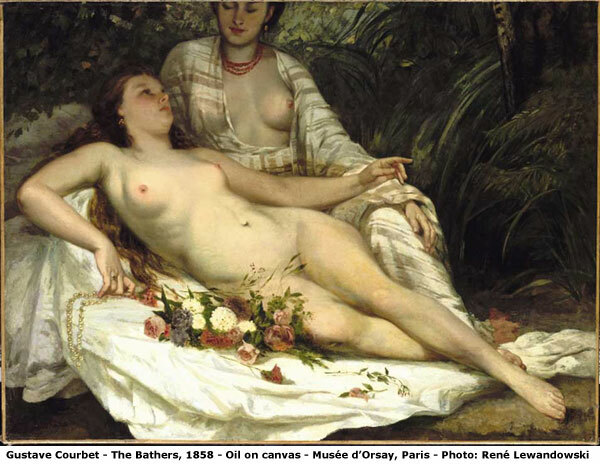 The Israel Museum, Jerusalem, presents Looking for Owners: Custody, Research, and Restitution of Art Stolen in France during World War II, an exhibition tracing the story of works of art looted by Nazi forces in France during the Second World War. 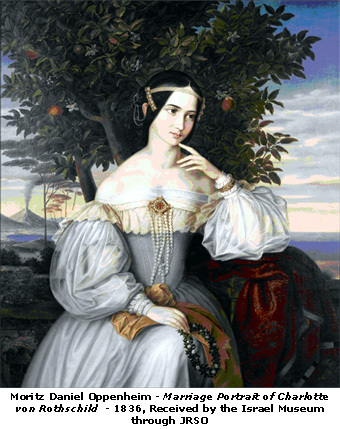 Organized by the French Ministry of Culture and Communication, the French Ministry of Foreign and European Affairs, the Direction des musées de France and the Réunion des musées nationaux, in collaboration with The Israel Museum, this landmark exhibition draws from the collection of works of art in France known as Musées Nationaux Récupération (MNR). The Israel Museum, Jerusalem will present on February: Orphaned Art: Looted Art from the Holocaust, an exhibition exploring the fate of works of art looted during World War II that were subsequently brought to Israel. Culled from 1,200 such works held in custody by the Israel Museum, all of which lack clear ownership history, Orphaned Art features over fifty paintings, drawings, prints, and books, together with a selection of Jewish ceremonial objects, and includes such artists as Jan Both, Moritz Daniel Oppenheim, Marc Chagall, Egon Schiele, and Alfred Sisley.